Mastering second-harmonic generation (SHG) in glasses is essential for achieving second-order nonlinear devices. Three-dimensional SHG patterns with controllable angular dependence were achieved in Li2O-Nb2O5-SiO2 glass by femtosecond laser irradiation. 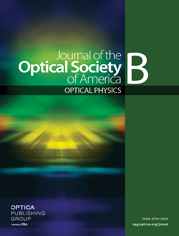 Electron backscatter diffraction indicated that the angular dependence was associated with preferential nanocrystal orientation: crystal polar axes are distributed within a plane perpendicular to the incident laser polarization direction. An orientation mechanism based on the application of laser-induced torques on the nanocrystal electric dipole was proposed. This work may pave the way to design devices such as frequency agile lasers based on electro-optical waveguides.